Qazi WAQAS appeared at Manchester and Salford Magistrates Court on 30 January 2018, charged with seven (7) offences of selling counterfeit goods contrary to Section 92 of The Trademarks Act 1994. He pleaded guilty to all matters. WAQAS was sentenced to eight (8) weeks imprisonment. He is likely to be deported to Pakistan at the end of his custodial sentence. The case was brought by TM Eye as a private criminal prosecution on behalf of its clients Jimmy Choo, Mulberry and another luxury goods brand. This is the latest conviction in a series resulting from phase three of TM Eye’s Operation MORDOR tackling organised crime in and around the Strangeways area of Manchester, known as Counterfeit Street. Undercover operatives from TM Eye’s Covert Undercover Unit undertook six (6) test purchases from WAQAS between 24 May 2017 and 28 June 2017 at his warehouse premises in Harris Street, Manchester. The unit was full of fake luxury branded goods from a wide variety of brands including CHANEL, MICHAEL KORS, MIU MIU, D & G, PRADA, MOSCHINO, MAC, GUCCI, YSL, STELLA McCARTNEY and many others. The prosecution was brought only on behalf of MULBERRY, JIMMY CHOO and another luxury brand. As a result the court ordered the forfeiture and destruction of these goods only. A criminal summons had been served on WAQAS to attend Manchester Magistrates Court on 19 December 2017. He failed to appear and a no bail arrest warrant was issued. On 29 January 2018 TM Eye detectives working in partnership with police officers from Greater Manchester Police identified WAQAS in Harris Street and he was arrested and taken to Swinton police station. He appeared at court in custody the next day and was imprisoned. TM Eye Director David McKelvey said,“WAQAS had failed to appear in court and an arrest warrant had been issued. TM Eye detectives working closely with police hunted him down and arrested him. He appeared at court and was sentenced to a term of imprisonment for 8 weeks. He will likely be deported back to Pakistan at the end of his sentence. The case was brought as part of phase three of Operation Mordor. Over 50 criminals involved in the organised crime that takes place daily in the area of Cheetham Hill, known as ‘Counterfeit Street’, have been convicted by TM Eye during Operation Mordor. The impact has been substantial. All those convicted by TM Eye have their DNA, fingerprints and photographs taken for police indices and the convictions are recorded on the Police National Computer. Ahmad JAVED of Denton, Malden Road, London NW1, appeared at Highbury Corner Magistrates Court on 14th December 2017, charged with one offence of selling counterfeit goods contrary to section 92 of The Trademarks Act 1994. He pleaded guilty and was sentenced to a £600 fine with an order to pay £600 towards the prosecution costs. The case was brought by TM Eye as a private criminal prosecution. JAVED had previously been convicted by TM Eye on 19 July 2017 at Highbury Corner Magistrates Court for four offences of selling fake Beats goods in the Camden area. On that occasion he had been fined. 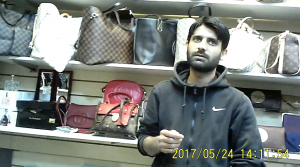 The recent case was the result of TM Eye’s ongoing Operation PREFIX targeting criminals engaged in the open sale of fake goods in and around the Camden High Road and Market area. 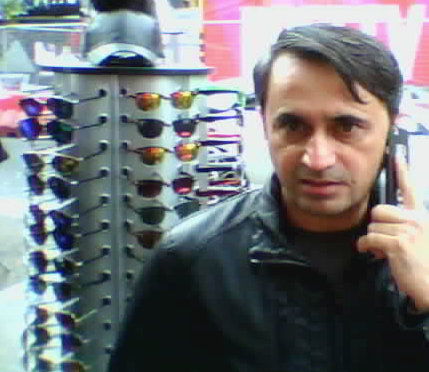 JAVED was seen selling fake leather goods having previously been convicted of selling fake Beats headphones and further evidence of his criminality was gathered through a covert test purchase. TM Eye Director David McKelvey said,”JAVED decided to continue his criminality having been convicted of selling fake electrical goods by TM Eye in July 2017. He moved to selling fake leather goods. Unfortunately for him the brand of fake goods being sold were also protected by TM Eye and we immediately prosecuted him. He now risks imprisonment should he re offend. TM Eye has prosecuted over 450 persons in the criminal courts through private criminal prosecutions and has a 100% conviction rate.